Latrelle Lee arrested and bails out on Monday night. 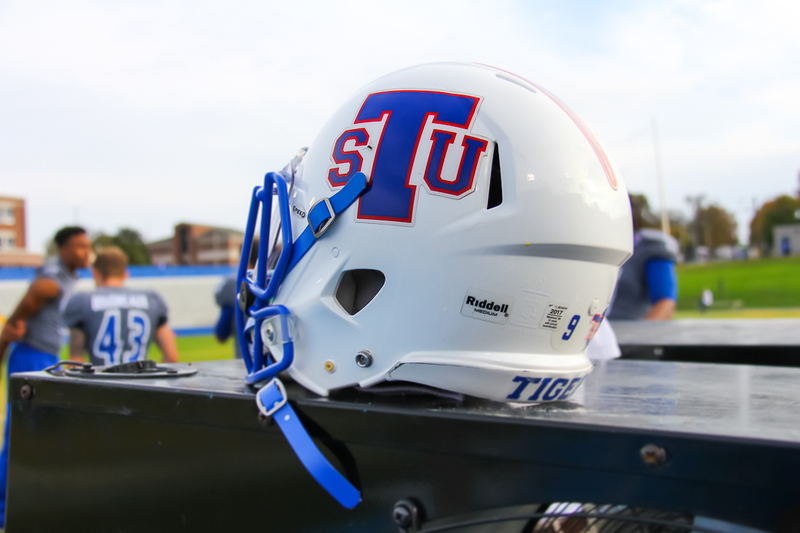 Former Tennessee State defensive end Latrelle Lee, who punched head strength coach T.J. Greenstone during a game earlier this month, has been formally arrested on a felony assault charge, according to several published reports. He was charged with one count of aggravated assault causing serious bodily injury in connection to the attack on Nov. 11 at Hale Stadium. Photo Metro Nashville Police Dept. Lee was booked into the Metro Nashville jail on Monday night, several hours later, however, he was able to post a $7,500 bond according to online records. A charge of aggravated assault can carry up to six years in prison. The original video, however, doesn’t show the moments that led up to Lee punching Greenstone. New footage obtained by the Tennessean shows that Greenstone and Lee were already involved in a scuffle as their arms get entangled before punches were thrown. You can see that video here. A number of Lee’s former teammates and friends have started the #GiveLeeHisDegree hashtag on social media. The posts generally suggest that the 22-year-old senior, who was expelled from TSU, be allowed to graduate. Some posts though even go as far to point out that Lee was reacting to physical contact from Greenstone.